and the attractive design allows it to be placed in an accessible spot. One master administrator can add (and remove) up to nine additional authorized users’ fingerprints. “Form follows function in design,” said Dijkema. “This product allows you to safely store your weapon where you can access it quickly in an emergency. 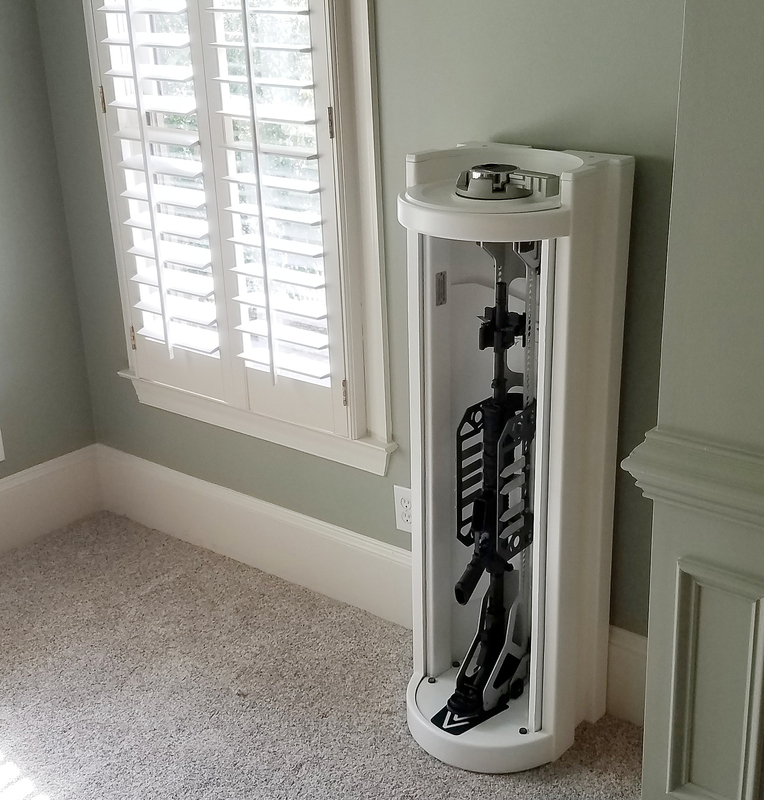 With its high safety features and attractive design, your weapons are close at hand yet safe from children or intruders, and easily accessible. It solves the problem of where to store your rifle. Large, bulky old-fashioned safes either do not fit in a bedroom, closet, home-office or living room or are too ugly in those locations, so as a result, these weapons are often lying under the bed or in the closet. If one does have one of these bulky safes inside the home, that can now be moved to the basement or garage to serve solely for bulk storage.” With a sturdy weight of 200lbs., the QVR features a powder coated finish that is available in black, titanium, bronze, or white and hardware that allows it to be firmly bolted to the floor or wall. It ships from the factory direct to the consumer at a cost of $2,349 plus shipping. For more information about the QVR or to place an order, visit http://www.Vapensystems.com. Follow Vapensystems on Facebook and Instagram.